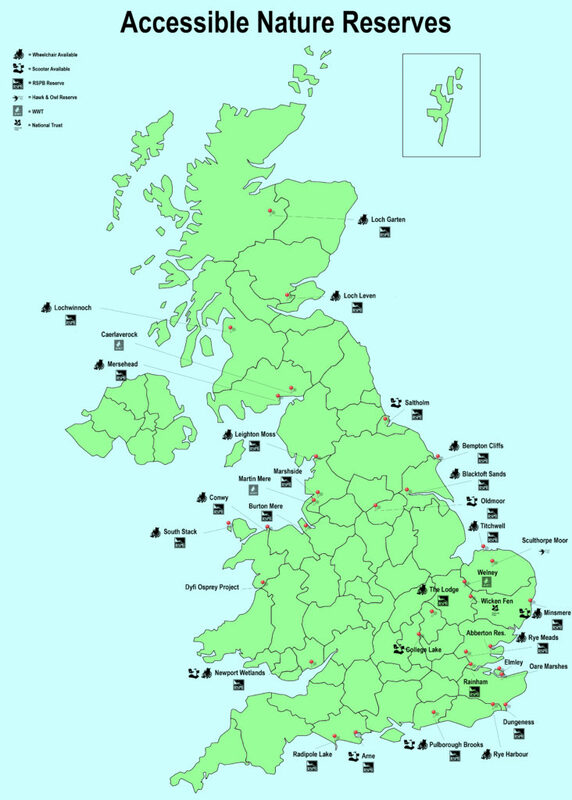 We designed this map to give ideas of places to visit that are either accessible or have scooter/wheelchair hire. They key should give you an idea of what is available and where. We hope that some people may find this a useful map, it is likely not exhaustive however, so if you know of a reserve we have missed please get in touch. And of course it goes without saying pins are approximations of the reserves locations, we advise contacting the reserves before hand to check availability and correct addresses etc. More detailed reserve information can be viewed on our UK reserves menu.